HDG Building Materials can provide FSC certified products. FSC certification ensures that products come from well-managed forests that provide environmental, social and economic benefits. 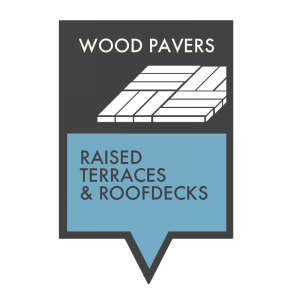 Hardwood decking tiles provide decks, terraces, rooftops, green roofs, courtyards, and other pathways with the warmth and character of natural wood. Available in standard installation sizes these pavers may be used for residential or high traffic commercial applications. 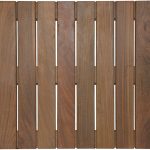 Choose from ipe wood deck tiles or hardwood deck tiles made of massaranduba, mahogany, or cumaru. FSC® and non-FSC products are available. Like the look and feel of tropical hardwoods but want to go with a sustainable and recyclable alternative? Consider 100% nonwood water-resistant and weatherproof Resysta Rice Hull Composite. Resysta is workable like wood but has many more benefits. Hardwood deck tiles made from ipe (pronounced ee-pay), a sustainably harvested wood imported from South America. 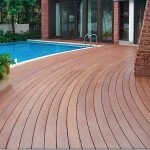 This beautiful hardwood is the most durable decking material available. It is resistant to scratches, dents, and problems related to moisture and insects. Even left untreated ipe hardwood decking tiles will last decades. 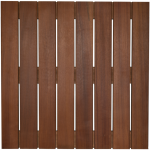 While ipe is the most popular type of tropical hardwood, there are other varieties of wood that have similar characteristics. Some varieties are arguably as beautiful as ipe, but even more durable, with a lesser price tag. These premium materials are resilient, rugged, attractive, and offer a long service life with little need for maintenance. This innovative composite material made mostly of rice hull is workable like wood but has many benefits over wood. Because of its exceptional properties, this 100% non-wood composite is naturally suited for decking use in harsh climates and wet applications in coastal and marine environments.